Why are the polls narrowing ? 1. It is because the expenses scandal hits the Conservatives marginally more than Labour, as voters are repeatedly reminded of the duck houses and flipping houses. 2. That the conservative party rightly or wrongly is perceived by most voters as being in the back pockets of the bankster elite that forced the inept Labour government to hand over hundreds of billions on threat of economic armageddon without ANY consequences as not one bankster has been charged and tax payer cash incorrectly termed as 'bonuses' continues to be paid out by bankster's to fellow bankster's. The banks solely exist to turn individuals, corporations and governments into perpetual debt slaves, which completely contrary to the head of Goldman Sachs LLoyd Blankfein's statements are in fact doing the "Devils work", most of the politicians to varying degrees remain in the back pockets of the bankster's. I wonder which banks Gordon Brown and Alistair Darling will work for after the next election, and David Cameron in 5 years time? What truly amazes me is how life long Labour party so called socialists fell hook line and sinker for the bankster bailout robbery, much as they fell for the Iraq war lies several years earlier, which just goes to show how much of politics is just smoke and mirrors propaganda. I am often asked who would I vote for ? I have always replied that I will vote for who is the most truthful on the true state of the UK economy and who will most likely address the debt crisis that URGENTLY needs to be tackled to prevent stagflation from taking hold for many years if not decades. Though no party is willing to hold the bankster's to account, no public inquiry into the epic fraud perpetuated by the banks on the tax payers, without which how can anyone take the electioneering talk of future bank regulation seriously? Last weekends analysis concluded in an imminent downtrend to target 10,150 to 9,800 into the bear market low anniversary time window. Stocks fell from early Monday morning high of 10,420 to a low of 10,186 Thursday. The existing trend expectation is for a volatile but highly tradable market during the first half of 2010, and with the immediate trend lower into the anniversary of the bear market low that still overall targets a trend into the original correction zone of 9,500 to 9,800 (See Inflation Mega-trend Ebook Page 92 or Stocks Stealth Bull Market Trend Forecast For 2010 ). Whilst the clear wide short-term swings mean this is a great traders market, however it is beyond the scope of the Market Oracle site and this email newsletter to devolve into short-term trading, as trading is a function of reacting to price movements in real time, i.e. positions and targets are constantly evaluated in the light of subsequent price action on an hourly basis on whether a position should be opened, held, closed, stop moved or reversed on the basis of changing probabilities of a target being achievable or not in the light of subsequent price action. However I will cover trading in depth in a future ebook which is at least 9 months away following my next Ebook on the UK housing market, ensure you are subscribed to my always free newsletter to remain upto date on analysis, forecasts and ebook's. Elliott Wave Pattern - The trend appears to be resolving towards and ABC-ABC-ABC pattern that suggests that the downtrend to 9835 was just the first leg of a larger ABC pattern, therefore implying that we are in the B wave rally at the moment, however this B wave rally is pretty strong. On its own it is not clear if this is a B wave or a Wave 1, However when considering the forecast for 2010 which suggests further downside time is required then this does point to a B wave, it therefore suggests the minor wave c rally may be weak and may not even break above Wave B, i.e. put in a double or lower top before the main Wave C begins. TIME - The anniversary of the bear market low straddles 5th and 8th March, this indicates a downtrend into this period therefore confirming the current a weak minor C wave rally. Also confirming a larger decline to assault on first the last low of 10186, and then 9835. Stock Forecast 2010 - The forecast is a for a sideways trend after making a low in the region of 9500 to 9800, the trend to date is inline with the original forecast as illustrated by the original forecast graph (See Inflation Mega-trend Ebook Page 92 or Stocks Stealth Bull Market Trend Forecast For 2010 ). SWINGS - The Rally to 10,438 has been very powerful and further supports the expectations of a volatile sideways trend. MACD - Short-term and daily is supportive of an early week rally. Daily shows oversold state is being worked out, therefore supportive of a downtrend into the anniversary window. BULL / BEAR PSYCHOLOGY - One of the most powerful bull markets in history has deflated the psychology of the bears to an extent that by the time the stock market hit 10,729 they were more than just punch drunk but on life-support. This is NOT good for a stealth bull market which requires most people to remain skeptical and bet on downtrends, therefore to rebuild bearish confidence this requires a major significant and prolonged correction that allows the bearosphere to conclude that the bear market has RESUMED! This requires something far more significant than that of the 3 week October correction that brought forward the likes of Dr Perma-doom Nouriel Roubini to again call for a 10% to 20% drop, instead prices rose by more than 11%. However the correction to date is converging towards that of a powerful correction both in terms of price and time that is accumulating many bears in its midst. Meanwhile the bull sleeps with a wry smile on its face, trying hard not to giggle, waiting patiently to jump up and send the unsuspecting bears reeling once more. Economy - Double dip recession talk is back amongst the mainstream press and financial blogosphere, this is great for a stocks stealth bull market, the greater the uncertainty in economic outlook the greater the investor profit potential presented. After all, if all we saw was good news then it would probably time to SELL! Meanwhile GDP gets revised marginally higher for the UK and US. Even talk of a china bubble and crash is GREAT news as that bull definitely has many years more to run as the scared money remains, well, scared, only to eventually turn bullish when its time to SELL! The above analysis suggests that the Dow continues to target the last major low of 9835, and then the target zone of 9,500 to 9800. The more time the stock market spends breaking lower without actually trending significantly lower then the more bears it will accumulate as the weight of widespread bearish commentary continues to conclude towards the resumption of the bear market which however remains in complete denial of the bull market from 6470 to 10,729. There is no bear market to resume, the bear market ended in March 2009, since when stocks have been in one of the most powerful bull markets in history that has passed most by as they weight for fundamental confirmation by which time it is too late! Or worse sucker naive investors into speculating on the short-side in which case the stock market really would have to revisit the March lows just to break even! Off course the current trend could conclude in a NEW stocks bear market, but so far the market is trending in line with expectations of a correction off of the 10,729 high that targets 9,500 to 9,835 that further concludes in a large trading range for the first half of 2010 ahead of a strong bull run to 12,500. If anything the market is currently showing relative strength against the original forecast, which suggests we could even get a rally to a new high!, which would even surprise me never mind the bears! Though it would be interesting to see those that have already called for a bear market to resume back track once more. Read my ebook yet? Why not ? If you have you will know to accumulate on corrections especially in certain emerging markets and commodities and stock sectors. Despite UK inflation nearly doubling in 2 months and catching virtually all of the academic economists and mainstream press journalists / pseudo economists off guard, we still remain at the very beginning of the Inflation Mega-trend where many market commentators remain convinced by deflation. Yes it is very easy to make a case for deflation if one concentrates on select components rather than the sum of the whole, much as those that concentrated on corporate earnings during March to July 2009 missed the whole stocks bull market, as they could not understand how stocks could rally in the face of contracting corporate earnings. 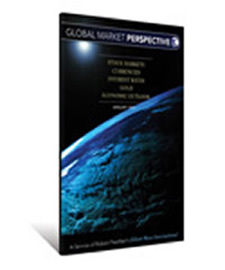 You have just 48 hours left to Download Robert Prechter's 100+ Page Global Market Perspective. PLUS, the 100+ page book includes analysis culled straight from EWI's professional-grade Specialty Services, each of which is valued at $199/month. 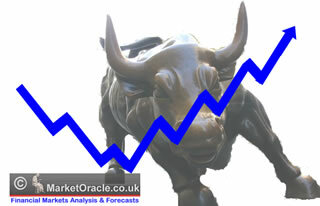 This means you also get analysis and forecasts for the 15 global markets, interest rates, currencies, metals and energy. Your stocks stealth bull market bear cannon fodder accumulating analyst. Understanding the Nature of the Global Economic Crisis - The people have been lulled into a false sense of safety under the rouse of a perceived “economic recovery.” Unfortunately, what the majority of people think does not make it so, especially when the people making the key decisions think and act to the contrary. The sovereign debt crises that have been unfolding in the past couple years and more recently in Greece, are canaries in the coal mine for the rest of Western “civilization.” The crisis threatens to spread to Spain, Portugal and Ireland; like dominoes, one country after another will collapse into a debt and currency crisis, all the way to America. CalculatedRisk predicts 2010 to account for more number of failures than 2009 but lesser than the peak of 534 in 1989. My prediction is the FDIC will close more banks in 2010 than in 2009 (more than 140), but fewer banks than in 1989 – peak of the S&L crisis (534 banks). I was doing some research on the Central Fund of Canada (ticker: CEF), which is a form of "paper" Gold and silver with a long track record and a much better counterparty risk profile than dangerous Gold ETFs like GLD. Now, CEF generally holds about 60% Gold and 40% silver, so it is not a "pure" Gold fund. I don't recommend paper Gold to anyone before they have established a physical position in Gold as an insurance policy that can always be cashed in when needed. I am not affiliated with nor am I recommending for or against CEF - you must due your own due diligence! 5. Sultans of Swap - Explaining $605 Trillion of Derivatives! Never mind that fruit trees are blossoming all over the Northern Hemisphere. It doesn't matter that Punxsutawney Phil of Pennsylvania saw his shadow on February 2. We're in for a lot more of a long, harsh Winter—a real whopper in terms of the Kondratieff cycle that the Longwave Group's Ian Gordon has become expert at analyzing and interpreting. In this exclusive interview with The Gold Report, Ian pulls no punches about the dreadful times ahead as economies wring out decade's worth of accumulated debt. The only gleams shining through in his dreary forecast: ample opportunities in precious metals equities. Political leaders and the mainstream media have been blindsided by the sudden mood shift of the country in the last few years. The reason they have been blindsided is they believe world history is linear. Liberals have now begun referring to themselves as progressives. These people think the world only progresses. The facts indicate otherwise. History is cyclical. History is replete with grand empires like Rome, Spain and Britain. It is also replete with Dark Ages, depressions and wars. Strauss & Howe have established that history can be broken down into 80 to 100 year Saeculums that consist of four turnings: The High, The Awakening, The Unraveling, and the Crisis. Just read your comment about who you would vote for. C'mon Nadeem, you know that NONE of the mainstream parties are ever going to be truthful on the true state of the UK economy or genuinely address the debt crisis. They will ALL just carry on as normal until eventually the IMF has to come in and pick up the pieces. There are three reasons. First, very few politicians have any understanding of what is happening to us. They all get briefed by economists who have proved themselves to be idiots and banksters who are venal. Second, nobody ever got voted for if all they could promise was several years of severe economic hardship while we straighten things out. Third, if the IMF imposes a sustainable policy on us it will be them that gets most of the blame, not the politicians. That is how the system works. There truly is nobody to vote for at the moment. Eventually some new political party might emerge which may be able to take the country forward on a better path but lookling at history I doubt it. I do cherish democracy and would not like to live in a totalitarian country but at the moment I am forced to admit that there is nobody who I can vote for. Sad but true. Meanwhile I will concentrate on trying to save my savings from the coming onslaught!